What a beautiful person to share a simple concept that can change the way we think in five seconds. I loved all the emails Mel read, they were truly inspiring. 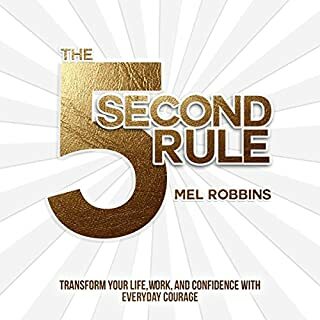 I am so excited to take on the five second rule to change in me what don't like and enhance in me what do like. I would recommend this book to anyone who is questioning their life or anyone needing a boost (and we all do). By the way, I have never written a review and I read at least one book a week. What did I do, I 54321 go and wrote the review.